Caput er vinnustofa þar sem er unnið hefur verið með nýja tónlist frá árinu 1987. Frumflutningur nýrra verka – í góðrisamvinnu við höfunda - hefur alltaf verið höfuðviðfangsefi hópisins. Á þessum tónleikum munum við flytja tónlist eftir tiltölulega! ung íslensk tónskáld - tónskáld sem við höfum lítið eða ekkert unnið með áður - ásamt því að frumflytja nýtt verk eftir Svein Lúðvík Björnsson, sem er eitt þeirra tónskálda sem hafa fylgt hópnum nánast frá upphafi. Í upphafi var Caput lítill kammerhópur en árið 1989 var hópurinn orðinn „sinfóníetta“ eða 14 manna band. Árið 1990 fékk hópurinn nafnið CAPUT. Caput er latína. Merking: Höfuð. Caput getur skroppið saman, allt niður í einn einleikara, en líka þanið sig upp í 20 manna hóp. Styrktaraðilar Caput eru Reykjavíkurborg og Mennta- og menningarmálaráðuneytið. Caput has been taking part in the tumultuous workshop of new music, giving concerts and recorded music since 1987, mostly avoiding any lines or a definite program policy. This has simply been a question of playing good music to an open minded audience. The ensemble has always put much emphasis on premiers of new music in close collaboration with the composers. At the concert at Dark Music Days we will play music by relatively! young Icelandic composers and we will premier a new piece by Sveinn Lúðvík Björnsson who has been working with the ensamble for quarter of a century. 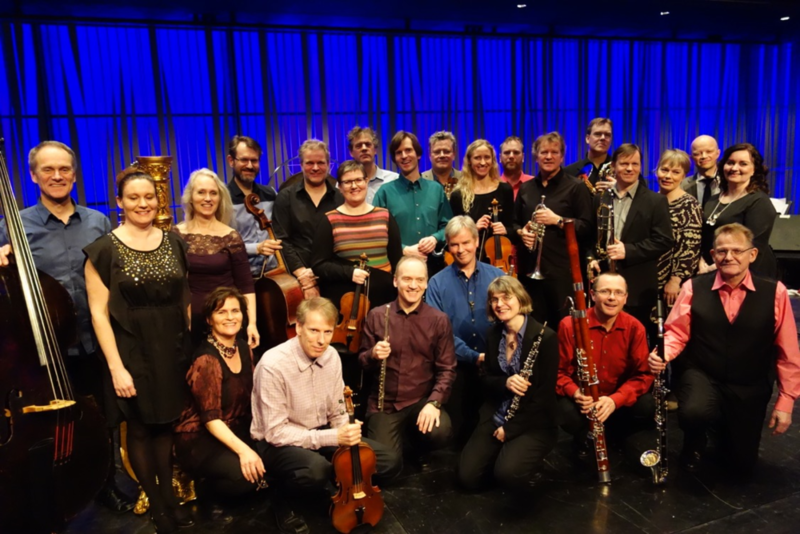 Caput Ensemble is sponsored by the City of Reykjavík and Iceland Ministry of Culture and Education.